There are wafer type flow conditioning plate of MOC SS304/L SS316/L in RF RTJ models. the contact point inside plate gap is almost negligible. - the plates contour move in parallel with each other and do not meet. The flow plates offered by us are appreciated for its features such as sturdy construction, durability, application specific designs and dimensional accuracy. 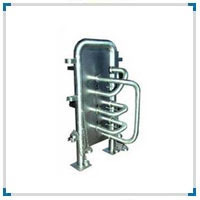 These flow plates are manufactured using high grade material such as stainless steel and carbon steel. We offer these plates in standard and customized options as per the requirements of our clients. 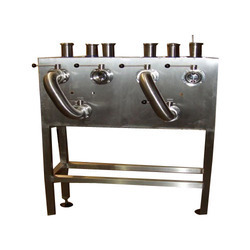 The Flow Plates offered by us are appreciated for its features such as sturdy construction, durability, Quick change over of Swing bends to divert the flow, application specific designs and dimensional accuracy. These are manufactured using high grade material such as stainless steel. We offer these plates in standard and customized options as per the requirements of our clients. Free Flow plate heat exchangers by GEA PHE Systems are particularly suited for products containing solids and pulp as well as for highly viscous products. They are distinguished by their. These properties are why they are so well suited for the sugar, paper, food and fruit juice industries. They are also often used in the renewable energy sector. Free flow plate heat exchangers by GEA PHE systems are particularly suited for products containing solids and pulp as well as for highly viscous products. "Free Flow" plates are used for liquids containing solids, particles, fibres or high viscous products. The plates are commonly used in the pulp & paper industry, in waste water treatment plants, the sugar industry, juice production, grain based ethanol production, heat recovery systems and for special tasks where standard plate heat exchangers usually will block.